Need to get in character? Get the latest casting, rehearsal, and shoot day sides while on the set or on the go. Celtx Sides makes it easy for you to learn your character, zero in on your dialog, and get all the important production details. * Color code characters and dialog. This app occupies the 1119474th position in our ranking with 23 points. 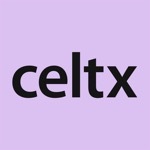 Other apps from Celtx Inc.